An Advanced Extremely High Frequency communications orion satellite centre relays secure communications for the United States and other allied countries. A communications satellite is an artificial satellite that relays and amplifies radio telecommunications signals via a transponder; it creates a communication channel between a source transmitter and a receiver at different locations on Earth. Communications satellites are used for television, telephone, radio, internet, and military applications. There are 2,134 communications satellites in Earth’s orbit, used by both private and government organizations. Many are in geostationary orbit 22,200 miles (35,700 km) above the equator, so that the satellite appears stationary at the same point in the sky, so the satellite dish antennas of ground stations can be aimed permanently at that spot and do not have to move to track it. Radio is the technology of signalling or communicating using radio waves. Radio waves are electromagnetic waves of frequency between 30 hertz (Hz) and 300 gigahertz (GHz). They are generated by an electronic device called a transmitter connected to an antenna which radiates the waves, and received by a radio receiver connected to another antenna. Radio is very widely used in modern technology, in radio communication, radar, radio navigation, remote control, remote sensing and other applications. In radio communication, used in radio and television broadcasting, cell phones, two-way radios, wireless networking and satellite communication among numerous other uses, radio waves are used to carry information across space from a transmitter to a receiver, by modulating the radio signal in the transmitter. In radar, used to locate and track objects like aircraft, ships, spacecraft and missiles, a beam of radio waves emitted by a radar transmitter reflects off the target object, and the reflected waves reveal the object's location. In radio navigation systems such as GPS and VOR, a mobile receiver receives radio signals from navigational radio beacons whose position is known, and by precisely measuring the arrival time of the radio waves the receiver can calculate its position on Earth. In wireless remote control devices like drones, garage door openers, and keyless entry systems, radio signals transmitted from a controller device control the actions of a remote device. A communications satellite's transponder is the series of interconnected units that form a communications channel between the receiving and the transmitting antennas. It is mainly used in satellite communication to transfer the received signals. A communication channel or simply channel refers either to a physical transmission medium such as a wire, or to a logical connection over a multiplexed medium such as a radio channel in telecommunications and computer networking. A channel is used to convey an information signal, for example a digital bit stream, from one or several senders to one or several receivers. A channel has a certain capacity for transmitting information, often measured by its bandwidth in Hz or its data rate in bits per second. Line-of-sight propagation is a characteristic of electromagnetic radiation or acoustic wave propagation which means waves travel in a direct path from the source to the receiver. Electromagnetic transmission includes light emissions traveling in a straight line. The rays or waves may be diffracted, refracted, reflected, or absorbed by the atmosphere and obstructions with material and generally cannot travel over the horizon or behind obstacles. Microwaves are a form of electromagnetic radiation with wavelengths ranging from about one meter to one millimeter; with frequencies between 300 MHz (1 m) and 300 GHz (1 mm). Different sources define different frequency ranges as microwaves; the above broad definition includes both UHF and EHF bands. A more common definition in radio engineering is the range between 1 and 100 GHz. In all cases, microwaves include the entire SHF band at minimum. Frequencies in the microwave range are often referred to by their IEEE radar band designations: S, C, X, Ku, K, or Ka band, or by similar NATO or EU designations. Konstantin Eduardovich Tsiolkovsky was a Russian rocket scientist and pioneer of the astronautic theory. Along with the French Robert Esnault-Pelterie, the German Hermann Oberth and the American Robert H. Goddard, he is considered to be one of the founding fathers of modern rocketry and astronautics. His works later inspired leading Soviet rocket engineers such as Sergei Korolev and Valentin Glushko and contributed to the success of the Soviet space program. Decades later a project named Communication Moon Relay was a telecommunication project carried out by the United States Navy. Its objective was to develop a secure and reliable method of wireless communication by using the Moon as a passive reflector and a natural communications satellite. The Communication Moon Relay project was a telecommunication project carried out by the United States Navy. Its objective was to develop a secure and reliable method of wireless communication by using the Moon as a natural communications satellite — a technique known as Earth–Moon–Earth communication (EME). Most of the project's work took place during the 1950s at the United States Naval Research Laboratory. Operation Moon Relay was spun off from a classified military espionage program known as Passive Moon Relay (PAMOR), which sought to eavesdrop on Soviet military radar signals reflected from the Moon. 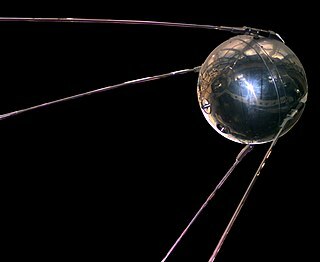 The first artificial Earth satellite was Sputnik 1. Put into orbit by the Soviet Union on October 4, 1957, it was equipped with an on-board radio-transmitter that worked on two frequencies: 20.005 and 40.002 MHz. Sputnik 1 was launched as a major step in the exploration of space and rocket development. However, it was not placed in orbit for the purpose of sending data from one point on earth to another. Sputnik 1 was the first artificial Earth satellite. The Soviet Union launched it into an elliptical low Earth orbit on 4 October 1957, orbiting for three weeks before its batteries died, then silently for two more months before falling back into the atmosphere. It was a 58 cm (23 in) diameter polished metal sphere, with four external radio antennas to broadcast radio pulses. Its radio signal was easily detectable even by radio amateurs, and the 65° inclination and duration of its orbit made its flight path cover virtually the entire inhabited Earth. This surprise success precipitated the American Sputnik crisis and triggered the Space Race, a part of the Cold War. The launch was the beginning of a new era of political, military, technological, and scientific developments. In electronics and telecommunications, a transmitter or radio transmitter is an electronic device which produces radio waves with an antenna. The transmitter itself generates a radio frequency alternating current, which is applied to the antenna. When excited by this alternating current, the antenna radiates radio waves. On October 11, 1958, Pioneer 1 became the first spacecraft under the auspices of NASA, the newly formed space agency of the United States. The flight was the second and most successful of the three Thor-Able space probes. The first satellite purpose-built to relay communications was NASA's Project SCORE in 1958, which used a tape recorder to store and forward voice messages. It was used to send a Christmas greeting to the world from U.S. President Dwight D. Eisenhower. Courier 1B, built by Philco, launched in 1960, was the world's first active repeater satellite. The first artificial satellite used solely to further advances in global communications was a balloon named Echo 1. Echo 1 was the world's first artificial communications satellite capable of relaying signals to other points on Earth. It soared 1,600 kilometres (1,000 mi) above the planet after its Aug. 12, 1960 launch, yet relied on humanity's oldest flight technology — ballooning. Launched by NASA, Echo 1 was a 30-metre (100 ft) aluminized PET film balloon that served as a passive reflector for radio communications. The world's first inflatable satellite — or "satelloon", as they were informally known — helped lay the foundation of today's satellite communications. The idea behind a communications satellite is simple: Send data up into space and beam it back down to another spot on the globe. Echo 1 accomplished this by essentially serving as an enormous mirror, 10 stories tall, that could be used to reflect communications signals. An immediate antecedent of the geostationary satellites was the Hughes Aircraft Company's Syncom 2, launched on July 26, 1963. Syncom 2 was the first communications satellite in a geosynchronous orbit. It revolved around the earth once per day at constant speed, but because it still had north-south motion, special equipment was needed to track it. Its successor, Syncom 3 was the first geostationary communications satellite. Syncom 3 obtained a geosynchronous orbit, without a north-south motion, making it appear from the ground as a stationary object in the sky. Communications satellites usually have one of three primary types of orbit, while other orbital classifications are used to further specify orbital details. Geostationary satellites have a geostationary orbit (GEO), which is 36,000 kilometres (22,000 mi) from Earth’s surface. This orbit has the special characteristic that the apparent position of the satellite in the sky when viewed by a ground observer does not change, the satellite appears to "stand still" in the sky. This is because the satellite's orbital period is the same as the rotation rate of the Earth. The advantage of this orbit is that ground antennas do not have to track the satellite across the sky, they can be fixed to point at the location in the sky the satellite appears. Medium Earth orbit (MEO) satellites are closer to Earth. Orbital altitudes range from 2,000 to 36,000 kilometres (1,200 to 22,400 mi) above Earth. The region below medium orbits is referred to as low Earth orbit (LEO), and is about 160 to 2,000 kilometres (99 to 1,243 mi) above Earth. Because of their low altitude, these satellites are only visible from within a radius of roughly 1,000 kilometres (620 mi) from the sub-satellite point. In addition, satellites in low earth orbit change their position relative to the ground position quickly. So even for local applications, a large number of satellites are needed if the mission requires uninterrupted connectivity. Low-Earth-orbiting satellites are less expensive to launch into orbit than geostationary satellites and, due to proximity to the ground, do not require as high signal strength (Recall that signal strength falls off as the square of the distance from the source, so the effect is dramatic). Thus there is a trade off between the number of satellites and their cost. In addition, there are important differences in the onboard and ground equipment needed to support the two types of missions. A group of satellites working in concert is known as a satellite constellation. Two such constellations, intended to provide satellite phone services, primarily to remote areas, are the Iridium and Globalstar systems. The Iridium system has 66 satellites. It is also possible to offer discontinuous coverage using a low-Earth-orbit satellite capable of storing data received while passing over one part of Earth and transmitting it later while passing over another part. This will be the case with the CASCADE system of Canada's CASSIOPE communications satellite. Another system using this store and forward method is Orbcomm. A MEO is a satellite in orbit somewhere between 2,000 and 35,786 kilometres (1,243 and 22,236 mi) above the earth’s surface. MEO satellites are similar to LEO satellites in functionality. MEO satellites are visible for much longer periods of time than LEO satellites, usually between 2 and 8 hours. MEO satellites have a larger coverage area than LEO satellites. A MEO satellite’s longer duration of visibility and wider footprint means fewer satellites are needed in a MEO network than a LEO network. One disadvantage is that a MEO satellite’s distance gives it a longer time delay and weaker signal than a LEO satellite, although these limitations are not as severe as those of a GEO satellite. Like LEOs, these satellites don’t maintain a stationary distance from the earth. This is in contrast to the geostationary orbit, where satellites are always 35,786 kilometres (22,236 mi) from the earth. Typically the orbit of a medium earth orbit satellite is about 16,000 kilometres (10,000 mi) above earth. In various patterns, these satellites make the trip around earth in anywhere from 2 to 8 hours. In 1962, the first communications satellite, Telstar, was launched. It was a medium earth orbit satellite designed to help facilitate high-speed telephone signals. Although it was the first practical way to transmit signals over the horizon, its major drawback was soon realized. Because its orbital period of about 2.5 hours did not match the Earth's rotational period of 24 hours, continuous coverage was impossible. It was apparent that multiple MEOs needed to be used in order to provide continuous coverage. To an observer on Earth, a satellite in a geostationary orbit appears motionless, in a fixed position in the sky. This is because it revolves around the Earth at Earth's own angular velocity (one revolution per sidereal day, in an equatorial orbit). A geostationary orbit is useful for communications because ground antennas can be aimed at the satellite without their having to track the satellite's motion. This is relatively inexpensive. In applications that require a large number of ground antennas, such as DirecTV distribution, the savings in ground equipment can more than outweigh the cost and complexity of placing a satellite into orbit. The first geostationary satellite was Syncom 3, launched on August 19, 1964, and used for communication across the Pacific starting with television coverage of the 1964 Summer Olympics. Shortly after Syncom 3, Intelsat I, aka Early Bird, was launched on April 6, 1965, and placed in orbit at 28° west longitude. It was the first geostationary satellite for telecommunications over the Atlantic Ocean. On November 9, 1966, Canada's first geostationary satellite serving the continent, Anik A1, was launched by Telesat Canada, with the United States following suit with the launch of Westar 1 by Western Union on April 13, 1967. On May 30, 1977, the first geostationary communications satellite in the world to be three-axis stabilized was launched: the experimental satellite ATS-6 built for NASA. After the launches of the Telstar through Westar 1 satellites, RCA Americom (later GE Americom, now SES) launched Satcom 1 in 1975. It was Satcom 1 that was instrumental in helping early cable TV channels such as WTBS (now TBS), HBO, CBN (now Freeform) and The Weather Channel become successful, because these channels distributed their programming to all of the local cable TV headends using the satellite. Additionally, it was the first satellite used by broadcast television networks in the United States, like ABC, NBC, and CBS, to distribute programming to their local affiliate stations. Satcom 1 was widely used because it had twice the communications capacity of the competing Westar 1 in America (24 transponders as opposed to the 12 of Westar 1), resulting in lower transponder-usage costs. Satellites in later decades tended to have even higher transponder numbers. By 2000, Hughes Space and Communications (now Boeing Satellite Development Center) had built nearly 40 percent of the more than one hundred satellites in service worldwide. Other major satellite manufacturers include Space Systems/Loral, Orbital Sciences Corporation with the Star Bus series, Indian Space Research Organisation, Lockheed Martin (owns the former RCA Astro Electronics/GE Astro Space business), Northrop Grumman, Alcatel Space, now Thales Alenia Space, with the Spacebus series, and Astrium. Geostationary satellites must operate above the equator and therefore appear lower on the horizon as the receiver gets farther from the equator. This will cause problems for extreme northerly latitudes, affecting connectivity and causing multipath interference (caused by signals reflecting off the ground and into the ground antenna). Thus, for areas close to the North (and South) Pole, a geostationary satellite may appear below the horizon. Therefore, Molniya orbit satellites have been launched, mainly in Russia, to alleviate this problem. The Molniya orbit is designed so that the satellite spends the great majority of its time over the far northern latitudes, during which its ground footprint moves only slightly. Its period is one half day, so that the satellite is available for operation over the targeted region for six to nine hours every second revolution. In this way a constellation of three Molniya satellites (plus in-orbit spares) can provide uninterrupted coverage. The first satellite of the Molniya series was launched on April 23, 1965 and was used for experimental transmission of TV signals from a Moscow uplink station to downlink stations located in Siberia and the Russian Far East, in Norilsk, Khabarovsk, Magadan and Vladivostok. 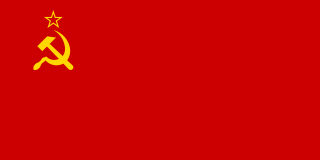 In November 1967 Soviet engineers created a unique system of national TV network of satellite television, called Orbita, that was based on Molniya satellites. In the United States, the National Polar-orbiting Operational Environmental Satellite System (NPOESS) was established in 1994 to consolidate the polar satellite operations of NASA (National Aeronautics and Space Administration) NOAA (National Oceanic and Atmospheric Administration). NPOESS manages a number of satellites for various purposes; for example, METSAT for meteorological satellite, EUMETSAT for the European branch of the program, and METOP for meteorological operations. These orbits are sun synchronous, meaning that they cross the equator at the same local time each day. For example, the satellites in the NPOESS (civilian) orbit will cross the equator, going from south to north, at times 1:30 P.M., 5:30 P.M., and 9:30 P.M.
Command and Control subsystem, which maintains communications with ground control stations. The ground control Earth stations monitor the satellite performance and control its functionality during various phases of its life-cycle. The bandwidth available from a satellite depends upon the number of transponders provided by the satellite. Each service (TV, Voice, Internet, radio) requires a different amount of bandwidth for transmission. This is typically known as link budgeting and a network simulator can be used to arrive at the exact value. The first and historically most important application for communication satellites was in intercontinental long distance telephony. The fixed Public Switched Telephone Network relays telephone calls from land line telephones to an earth station, where they are then transmitted to a geostationary satellite. The downlink follows an analogous path. Improvements in submarine communications cables through the use of fiber-optics caused some decline in the use of satellites for fixed telephony in the late 20th century. Satellite phone systems can be accomplished by a number of means. On a large scale, often there will be a local telephone system in an isolated area with a link to the telephone system in a main land area. There are also services that will patch a radio signal to a telephone system. In this example, almost any type of satellite can be used. Satellite phones connect directly to a constellation of either geostationary or low-Earth-orbit satellites. Calls are then forwarded to a satellite teleport connected to the Public Switched Telephone Network . As television became the main market, its demand for simultaneous delivery of relatively few signals of large bandwidth to many receivers being a more precise match for the capabilities of geosynchronous comsats. Two satellite types are used for North American television and radio: Direct broadcast satellite (DBS), and Fixed Service Satellite (FSS). The definitions of FSS and DBS satellites outside of North America, especially in Europe, are a bit more ambiguous. Most satellites used for direct-to-home television in Europe have the same high power output as DBS-class satellites in North America, but use the same linear polarization as FSS-class satellites. Examples of these are the Astra, Eutelsat, and Hotbird spacecraft in orbit over the European continent. Because of this, the terms FSS and DBS are more so used throughout the North American continent, and are uncommon in Europe. Fixed Service Satellites use the C band, and the lower portions of the Ku band. They are normally used for broadcast feeds to and from television networks and local affiliate stations (such as program feeds for network and syndicated programming, live shots, and backhauls), as well as being used for distance learning by schools and universities, business television (BTV), Videoconferencing, and general commercial telecommunications. FSS satellites are also used to distribute national cable channels to cable television headends. Free-to-air satellite TV channels are also usually distributed on FSS satellites in the Ku band. The Intelsat Americas 5, Galaxy 10R and AMC 3 satellites over North America provide a quite large amount of FTA channels on their Ku band transponders. The American Dish Network DBS service has also recently used FSS technology as well for their programming packages requiring their SuperDish antenna, due to Dish Network needing more capacity to carry local television stations per the FCC's "must-carry" regulations, and for more bandwidth to carry HDTV channels. A direct broadcast satellite is a communications satellite that transmits to small DBS satellite dishes (usually 18 to 24 inches or 45 to 60 cm in diameter). Direct broadcast satellites generally operate in the upper portion of the microwave Ku band. DBS technology is used for DTH-oriented (Direct-To-Home) satellite TV services, such as DirecTV and DISH Network in the United States, Bell TV and Shaw Direct in Canada, Freesat and Sky in the UK, Ireland, and New Zealand and DSTV in South Africa. Operating at lower frequency and lower power than DBS, FSS satellites require a much larger dish for reception (3 to 8 feet (1 to 2.5 m) in diameter for Ku band, and 12 feet (3.6 m) or larger for C band). They use linear polarization for each of the transponders' RF input and output (as opposed to circular polarization used by DBS satellites), but this is a minor technical difference that users do not notice. FSS satellite technology was also originally used for DTH satellite TV from the late 1970s to the early 1990s in the United States in the form of TVRO (TeleVision Receive Only) receivers and dishes. It was also used in its Ku band form for the now-defunct Primestar satellite TV service. Some manufacturers have also introduced special antennas for mobile reception of DBS television. Using Global Positioning System (GPS) technology as a reference, these antennas automatically re-aim to the satellite no matter where or how the vehicle (on which the antenna is mounted) is situated. These mobile satellite antennas are popular with some recreational vehicle owners. Such mobile DBS antennas are also used by JetBlue Airways for DirecTV (supplied by LiveTV, a subsidiary of JetBlue), which passengers can view on-board on LCD screens mounted in the seats. Satellite radio offers audio broadcast services in some countries, notably the United States. Mobile services allow listeners to roam a continent, listening to the same audio programming anywhere. A satellite radio or subscription radio (SR) is a digital radio signal that is broadcast by a communications satellite, which covers a much wider geographical range than terrestrial radio signals. Satellite radio offers a meaningful alternative to ground-based radio services in some countries, notably the United States. Mobile services, such as SiriusXM, and Worldspace, allow listeners to roam across an entire continent, listening to the same audio programming anywhere they go. Other services, such as Music Choice or Muzak's satellite-delivered content, require a fixed-location receiver and a dish antenna. In all cases, the antenna must have a clear view to the satellites. In areas where tall buildings, bridges, or even parking garages obscure the signal, repeaters can be placed to make the signal available to listeners. Initially available for broadcast to stationary TV receivers, by 2004 popular mobile direct broadcast applications made their appearance with the arrival of two satellite radio systems in the United States: Sirius and XM Satellite Radio Holdings. Later they merged to become the conglomerate SiriusXM. Radio services are usually provided by commercial ventures and are subscription-based. The various services are proprietary signals, requiring specialized hardware for decoding and playback. Providers usually carry a variety of news, weather, sports, and music channels, with the music channels generally being commercial-free. In areas with a relatively high population density, it is easier and less expensive to reach the bulk of the population with terrestrial broadcasts. Thus in the UK and some other countries, the contemporary evolution of radio services is focused on Digital Audio Broadcasting (DAB) services or HD Radio, rather than satellite radio. Amateur radio operators have access to amateur satellites, which have been designed specifically to carry amateur radio traffic. Most such satellites operate as spaceborne repeaters, and are generally accessed by amateurs equipped with UHF or VHF radio equipment and highly directional antennas such as Yagis or dish antennas. Due to launch costs, most current amateur satellites are launched into fairly low Earth orbits, and are designed to deal with only a limited number of brief contacts at any given time. Some satellites also provide data-forwarding services using the X.25 or similar protocols. After the 1990s, satellite communication technology has been used as a means to connect to the Internet via broadband data connections. This can be very useful for users who are located in remote areas, and cannot access a broadband connection, or require high availability of services. Communications satellites are used for military communications applications, such as Global Command and Control Systems. Examples of military systems that use communication satellites are the MILSTAR, the DSCS, and the FLTSATCOM of the United States, NATO satellites, United Kingdom satellites (for instance Skynet), and satellites of the former Soviet Union. India has launched its first Military Communication satellite GSAT-7, its transponders operate in UHF, F, C and Ku band bands. Typically military satellites operate in the UHF, SHF (also known as X-band) or EHF (also known as Ka band) frequency bands. A geosynchronous orbit is an orbit around Earth of a satellite with an orbital period that matches Earth's rotation on its axis, which takes one sidereal day. The synchronization of rotation and orbital period means that, for an observer on Earth's surface, an object in geosynchronous orbit returns to exactly the same position in the sky after a period of one sidereal day. Over the course of a day, the object's position in the sky traces out a path, typically in a figure-8 form, whose precise characteristics depend on the orbit's inclination and eccentricity. Satellites are typically launched in an eastward direction. A geosynchronous orbit is 35,786 km (22,236 mi) above the Earth's surface. Those closer to Earth orbit faster than Earth rotates, so from Earth, they appear to move eastward while those that orbit beyond geosynchronous distances appear to move westward. The Ku band is the portion of the electromagnetic spectrum in the microwave range of frequencies from 12 to 18 gigahertz (GHz). The symbol is short for "K-under", because it is the lower part of the original NATO K band, which was split into three bands because of the presence of the atmospheric water vapor resonance peak at 22.24 GHz, (1.35 cm) which made the center unusable for long range transmission. In radar applications, it ranges from 12-18 GHz according to the formal definition of radar frequency band nomenclature in IEEE Standard 521-2002. Syncom started as a 1961 NASA program for active geosynchronous communication satellites, all of which were developed and manufactured by Hughes Space and Communications. Syncom 2, launched in 1963, was the world's first geosynchronous communications satellite. Syncom 3, launched in 1964, was the world's first geostationary satellite. A very small aperture terminal (VSAT) is a two-way satellite ground station with a dish antenna that is smaller than 3.8 meters. The majority of VSAT antennas range from 75 cm to 1.2 m. Data rates, in most cases, range from 4 kbit/s up to 16 Mbit/s. VSATs access satellites in geosynchronous orbit or geostationary orbit to relay data from small remote Earth stations (terminals) to other terminals or master Earth station "hubs". Satellite Internet access is Internet access provided through communications satellites. Modern consumer grade satellite Internet service is typically provided to individual users through geostationary satellites that can offer relatively high data speeds, with newer satellites using Ku band to achieve downstream data speeds up to 506 Mbit/s. The Satcom series was a family of communications satellites originally developed and operated by RCA American Communications. Satcom was one of the early geostationary satellites; the first were the Syncom series, in 1964. The first Satcom satellite, Satcom 1, was launched on December 13, 1975. The last satellite, Satcom K2, was placed into orbit on November 27, 1985 and was de-orbited in February 2002. Satcom was first superseded and then replaced by the GE series of satellites. A tracking and data relay satellite (TDRS) is a type of communications satellite that forms part of the Tracking and Data Relay Satellite System (TDRSS) used by NASA and other United States government agencies for communications to and from independent "User Platforms" such as satellites, balloons, aircraft, the International Space Station, and remote bases like the Amundsen-Scott South Pole Station. This system was designed to replace an existing worldwide network of ground stations that had supported all of NASA's crewed flight missions and uncrewed satellites in low-Earth orbits. The primary system design goal was to increase the amount of time that these spacecraft were in communication with the ground and improve the amount of data that could be transferred. These TDRSS satellites are all designed and built to be launched to and function in geosynchronous orbit, 35,786 km (22,236 mi) above the surface of the Earth. Commercial use of space is the provision of goods or services of commercial value by using equipment sent into Earth orbit or outer space. Examples of the commercial use of space include satellite navigation, satellite television and commercial satellite imagery. Operators of such services typically contract the manufacturing of satellites and their launch to private or public companies, which form an integral part of the space economy. Some commercial ventures have long-terms plans to exploit natural resources originating outside Earth, for example asteroid mining. Space tourism, currently an exceptional activity, could also be an area of future growth, as new businesses strive to reduce the costs and risks of human spaceflight. Satellite television is a service that delivers television programming to viewers by relaying it from a communications satellite orbiting the Earth directly to the viewer's location. The signals are received via an outdoor parabolic antenna commonly referred to as a satellite dish and a low-noise block downconverter. A geosynchronous satellite is a satellite in geosynchronous orbit, with an orbital period the same as the Earth's rotation period. Such a satellite returns to the same position in the sky after each sidereal day, and over the course of a day traces out a path in the sky that is typically some form of analemma. A special case of geosynchronous satellite is the geostationary satellite, which has a geostationary orbit – a circular geosynchronous orbit directly above the Earth's equator. Another type of geosynchronous orbit used by satellites is the Tundra elliptical orbit. Telstar is the name of various communications satellites. The first two Telstar satellites were experimental and nearly identical. Telstar 1 launched on top of a Thor-Delta rocket on July 10, 1962. It successfully relayed through space the first television pictures, telephone calls, and telegraph images, and provided the first live transatlantic television feed. Telstar 2 launched May 7, 1963. Telstar 1 and 2—though no longer functional—still orbit the Earth. Co-location is the placing of two or more geostationary communications satellites in orbit, in close proximity so that to reception equipment on the ground they 'appear' to occupy a single orbital position. The technique as applied to a group of TV satellites from a single operator was pioneered by SES with the Astra satellites at 19.2°E. Intelsat IV F-1 was a geostationary communication satellite built by Hughes, it was owned by Intelsat. The satellite was based on the HS-312 platform and its estimated useful life was 7 years. Intelsat IV F-2 was a geostationary communication satellite built by Hughes, it was owned by Intelsat. The satellite was based on the HS-312 platform and its estimated useful life was 7 years. Intelsat IV F-4 was a geostationary communication satellite built by Hughes, it was owned by Intelsat. The satellite was based on the HS-312 platform and its estimated useful life was 7 years. Intelsat IV F-5 was a geostationary communication satellite built by Hughes, it was owned by Intelsat. The satellite was based on the HS-312 platform and its estimated useful life was 7 years. Intelsat IV F-6 was a geostationary communication satellite built by Hughes, it was owned by Intelsat. The satellite was based on the HS-312 platform and its estimated useful life was 7 years. Intelsat IV F-7 was a geostationary communication satellite built by Hughes, it was owned by Intelsat. The satellite was based on the HS-312 platform and its estimated useful life was 7 years. Intelsat IV F-8 was a geostationary communication satellite built by Hughes, it was owned by Intelsat. The satellite was based on the HS-312 platform and its estimated useful life was 7 years. ↑ Labrador, Virgil (2015-02-19). "satellite communication". Britannica.com. Retrieved 2016-02-10. ↑ "Satellites - Communication Satellites". Satellites.spacesim.org. Retrieved 2016-02-10. 1 2 "Military Satellite Communications Fundamentals | The Aerospace Corporation". Aerospace. 2010-04-01. Retrieved 2016-02-10. 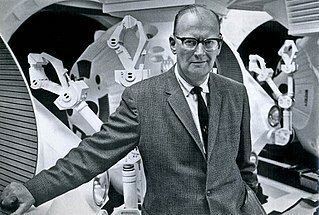 ↑ "Arthur C. Clarke, inventor of satellite, visionary in technology, dead at 90". Engadget.com. 2008-03-18. Retrieved 2016-02-10. ↑ Marcus, Gideon. ""Pioneering Space II"" (PDF). ↑ Martin, Donald; Anderson, Paul; Bartamian, Lucy (March 16, 2007). "Communications Satellites" (5th ed.). AIAA. ISBN 978-1884989193. ↑ "Significant Achievements in Space Communications and Navigation, 1958-1964" (PDF). NASA-SP-93. NASA. 1966. pp. 30–32. Retrieved 2009-10-31. ↑ "Talking to Martians: Communications with Mars Curiosity Rover". Steven Gordon's Home Page. Retrieved 13 March 2017. ↑ Connected | Maritime Archived 2013-08-15 at the Wayback Machine . Iridium. Retrieved on 2013-09-19. ↑ "GSAT-14". ISRO. Archived from the original on 8 January 2014. Retrieved 16 January 2014. ↑ "Indian GSLV successfully lofts GSAT-14 satellite". NASA Space Flight. 4 January 2014. Retrieved 16 January 2014. ↑ "DIRECTV's Spaceway F1 Satellite Launches New Era in High-Definition Programming; Next Generation Satellite Will Initiate Historic Expansion of DIRECTV". SpaceRef. Retrieved 2012-05-11. ↑ India's first 'military' satellite GSAT-7 put into earth's orbit. NDTV.com (2013-09-04). Retrieved on 2013-09-18.